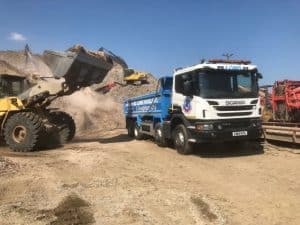 We are M Long Haulage & Daughters Ltd an aggregate Haulier with our own dedicated aggregate recycling company, Neptune Contract Services Ltd which is just a stone’s throw from central London in Dagenham. We supply virgin and recycled aggregate into London and the surrounding areas. 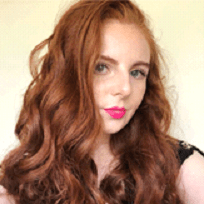 My name is Ms Danielle Fitzpatrick and I am the accounts manager for M Long Haulage & Daughters Ltd. In fact, I am one of the Daughters in the company name. Together with my older sister we are the next generation of this company and I pride myself on knowing every job role, vehicle, material and journey our staff take. It is with great pride that one day we will take over the business from our parents and continue to build on their success 35 year career in managing this business to become the success it is today. With this responsibility of the future of our family company on our shoulders we are looking for fresh ideas from our era to support the robust structure of the company installed over three decades. We are looking towards new technologies to improve our business including better telematics for vehicles, CCTV for our vehicles and facilities as well as computerization of our weighbridge and offices to improve communication. With better telematics and live feed viewing CCTV for vehicles all things we are looking at for the future, it gives us more scope to monitor vehicle performance including fuel consumption co2 admissions, Nox and particulate Matter emissions as well as driver road safety, incident fines and charges. Part of my responsibilities include helping towards the FORS administration. My role towards FORS is to help compile data under the supervision of FORS Practitioner Margaret Long. Since my employment I have seen a marked difference in the reduction of our carbon foot print, a huge improvement in our driver’s road safety and overall a more efficient running fleet. As the accounts manager, I am very lucky to have Christopher Benn The Operations Manager a qualified Transport Manager with years of experience who helps and guide us through the new technology which gives us the ability to choose what equipment we need for our fleet moving forward. Our current technology is retrospective and moving forward we are looking forward to live viewing and real time data which can help us instantly to manage incidents and driver performance as it happens. For example, if a driver is parked and idling their engine we will see this as it happens and can prevent this from becoming an issue, this protects our profit margin as well as the environmental cost of unnecessary emissions. When I started work here the company had already been with FORS for many years. In fact, we one of the first few hundred members with our membership number 0152 something we are proud of. Before working here, I was unaware of FORS but now I see the great help and advantages it gives the company and aids the running, fuel efficiency and safety of our fleet. I would highly recommend all companies in the freight industry to be a part of FORS. As the years have gone by, I have played a bigger role in our companies FORS paperwork working alongside both our FORS Practitioners Margaret Long and Billie Benn. We have passed 2 Bronze audits and are about to do our third bronze audit, each time these have been incredibly useful aids to make sure we are up to date with all the necessary protocols and a platform for us to ask questions on the FORS related practises. We are proud of our FORS GOLD membership and have been with FORS Gold for 4 years, hopefully this will be our 5th year and we plan to maintain this highest standard as it has benefited us greatly. We also plan to continue to better ourselves and our safety practices. Billie Jo Benn has decreased the amount of parking fines our fleet driver incurs. She has done this with the help of FORS and her training including the FORS Practitioner Training. A key improvement we have made as a company this year is to educate our staff by talks which have been very effective, however rather than bombarding the staff with everything in one go, we pin point areas they may be lacking. For example, if we start a new job and the site has an entrance with a weight restriction they need to avoid we make the drivers aware of this restriction. This helps them forward plan and to know before leaving our site to be especially aware of the routes to avoid. We find this bitesize information is very effective in educating our drivers. From the online training for driver to the FORS practitioner courses FORS has helped us educate our whole team and improve standards for our company. Something simple as refreshing drivers in road markings can be the difference between a parking ticket or not. This has given us the courage and determination to move through the FORS ranks and progress and maintain our Gold standard. Driver health and fitness is very important to us and all drivers must complete a Driver Testimony as to fitness to drive, before starting work for us. We then get our staff to fill out our Drivers health Declaration Form annually, so all our information is accurate. And we constantly review this to update any changes. are where required we contact the DVLA All our drivers are regularly assessed on their driving buy our external advisor, Terry Jefferson. M Long Haulage has a long-standing workforce and therefore recruiting is something we do not have to do very often. However, we work with Havering College to provide support to encourage and develop people into the industry. This include school engagement with Industry programmes. Noise assessment – We commit to strict noise restrictions from start and finish time to a no idle policy as well as planning of routes to prevent community disruption through noise pollution. Our plans for the future are to make continual fleet improvements. We have recently sold are last two Euro 4 lorries and intend to replace them in the future with brand new state of the art euro 6 lorries. We are looking into the clear visual panelled doors and are researching what lorries are the safest, most fuel efficiency and best suited to our company. We are looking at everything from telematics to improving the sign writing to increase visibility. 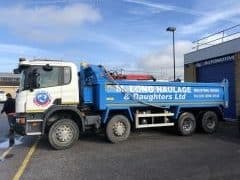 M Long Haulage & Daughters Ltd, is proud of its FORS status and is committed to providing FORS training for staff and excelling form the standard required for our GOLD standard within FORS. We recommend to anyone in the industry to get involved in this great Incentive to promote industry standard to reduce accidents, fines, pollution to promote community awareness from the industry as well as setting an Industry standard for safety. We are grateful for FORS are the dedication to the Industry.